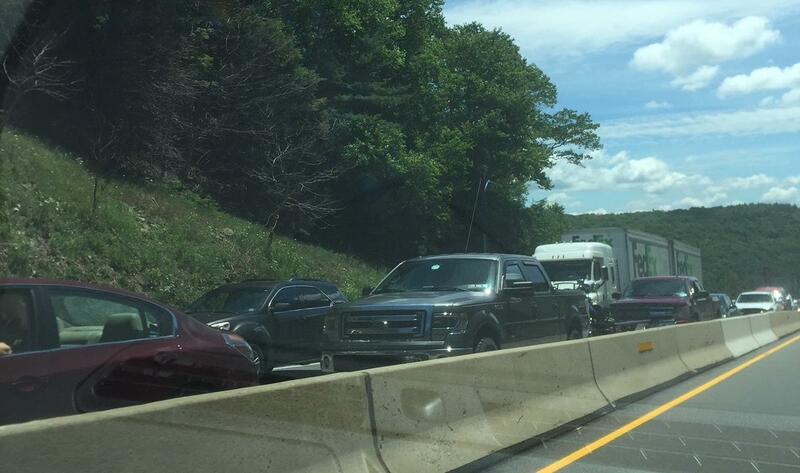 Traffic was backed up on Route 322 over Seven Mountains in June 2018. Construction of a new four-lane section has been causing delays, which PennDOT is taking steps to alleviate. If you’ve driven on Route 322 where Centre and Mifflin counties meet recently, you may have sat in traffic at a standstill. 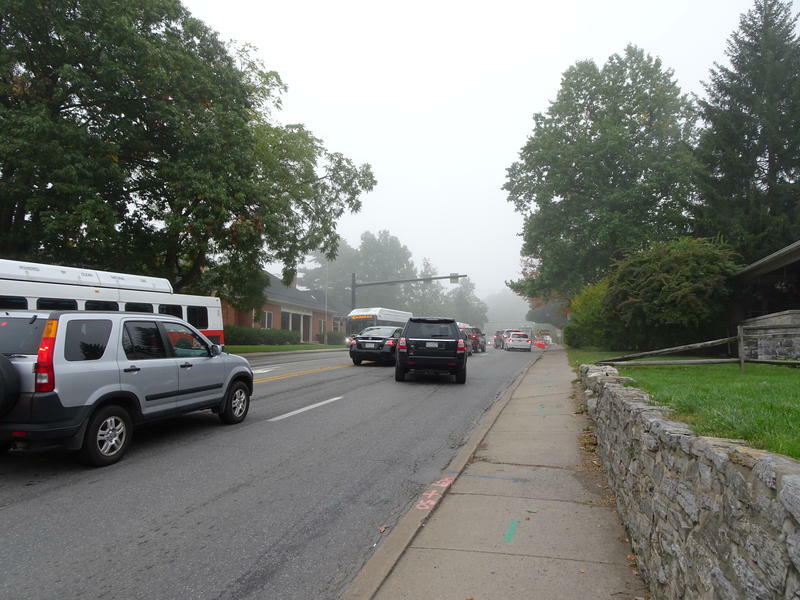 The delays have come from work on an $82 million project that will eventually mean easier — and safer — driving on Route 322. “We’re going to be improving the roadway from a two-lane roadway to a four-lane roadway, and that will alleviate congestion, a lot of traffic to move more safely and freely through that Potters Mills Gap area,” said Brent Lykens, construction services engineer with PennDOT. 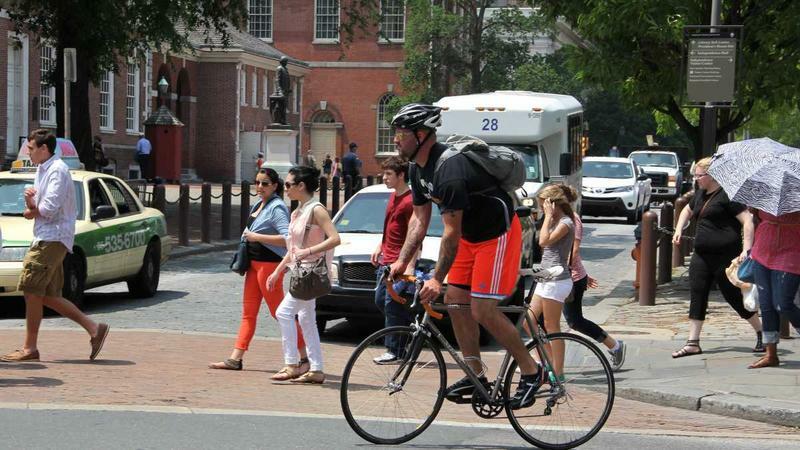 Now PennDOT is taking steps to address those traffic standstills. The contractor has been installing cross pipes for erosion and sedimentation control. That work was originally slated to take place around the clock. But, because of backed-up traffic, it is now taking place at night. PennDOT safety press officer Tim Nebgen said that phase of the work is expected to be done by July 6. He noted that the project is between two mountains. The area sees more than 16,000 vehicles a day. The work will also be put on hold during busy weekends like the Arts Festival in State College. Nebgen said PennDOT understands the delays can cause frustration. And they’re working with the contractor to minimize them. The completed project is slated to be open to traffic in fall 2020. It’s a weekday morning on North Atherton Street in State College. For David Reitter, a Penn State faculty member, and others commuting on that road, it usually means one thing. A gas line relocation project means torn up roads on North Atherton in advance of a Pennsylvania Department of Transportation roadway project. Drivers there dutifully merge from two lanes into one, sometimes well in advance of road work.